How can I report damage to a sacred site? 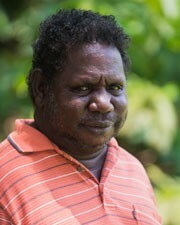 Mr Walter Kerinauia Junior is one of the senior 'culture men' on the Tiwi Islands. He is a past member of the Tiwi Islands Regional Council/Tiwi Islands Local Government. He has been the long-time Trustee of the Mantiyupwi land owning group which takes in southern parts of both Bathurst and Melville Islands. He is also a past Director of Mantiyupwi Pty Ltd.
Mr Bobby Nunggumarjbarr is a senior Nunggubuyu man from Numbulwar in South Eastern Arnhem Land. He has had a long and distinguished career in public administration in the region having been Town Clerk of Angurugu on Groote Eylandt, and having held various positions on the Yugul Mangi Community Government Council in Ngukurr and more recently the Roper Gulf Shire. 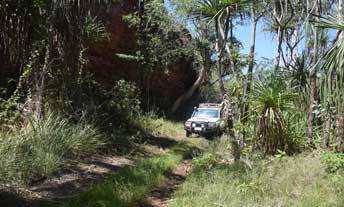 Mr Nunggumarjbarr is widely respected for his knowledge and authority across South Eastern and Central Arnhem Land. Mr Nuggumarjbarr has also been the Senior Project Officer in charge of the Northern Land Council’s Ngukurr office for the past fifteen years. In this role he is well regarded as a community facilitator of high order. Ms Clifford is currently the General Manager of Lands and Planning with the Department of Infrastructure, Planning and Logistics and has previously held senior positions within the Northern Territory Government, including the Department of Housing. She brings specialist professional skills in the area of land policy and administration to the AAPA membership. 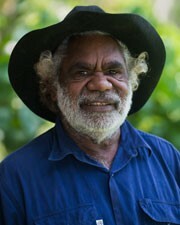 Mr Philip Wilyuka is a Pitjanjatjara/Yankunytjatjara man from the community of Titjikala. Mr Wilyuka currently works as a Lutheran pastor at Titjikala and has been involved with the Central Land Council (CLC) for many years. 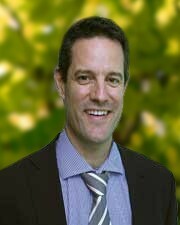 In 2012-2013 he served as Chair of the CLC and acts as a CLC member for the Alice Springs Region. In April 2016 Mr Wilyuka was elected by the CLC for the Aboriginal Benefit Account (ABA) Advisory Committee. In this new role he will be provide valuable cultural and local advice to the Minister for Indigenous Affairs on applications seeking ABA beneficial grant funding. 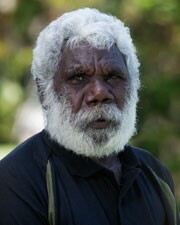 Mr Jack Green is from Borroloola. He is a Senior Cultural Advisor to the Garawa and Waanyi/Garawa Ranger programs in the Gulf region of the Northern Territory. He is a member of the Borroloola Aboriginal Peoples and has contributed significantly to Aboriginal community-based development programs in remote regions of Australia. Mr Green is a strong supporter of the maintenance of Aboriginal connection to the land. Ms Granites is a highly respected senior Walpiri woman Yuendumu. 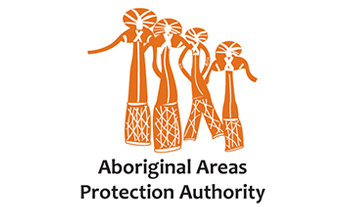 She has been a member of the Aboriginal Areas Protection Authority Board since 2005. Ms Granites is well known for her knowledge in women’s law and culture and has worked closely with the Authority on many sacred site registrations and Authority Certificate consultations. She has worked as a health worker for many years and is a renowned artist in her community. 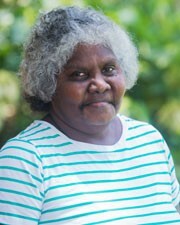 Ms Watts is a Traditional Owner from the Katherine region and a long serving member of the Northern Land Council (NLC), standing as a full council member throughout 2013 to 2016. Ms Watts has extensive knowledge of land and management practices and has worked in various Aboriginal land and sea management positions, including Sea Ranger NLC facilitator and Timber Creek Ranger Group facilitator. 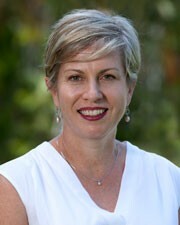 She has also served as the Timber Creek/Victoria River representative on the Katherine Regional Advisory Committee. Mr Cowan is currently the Deputy Chief Executive Officer of the Department of the Chief Minister and has previously held various senior positions within the NT Government. Mr Cowan is in charge of the NTG’s Indigenous Development Strategy, of which he has a strong understanding of the NT Governments Aboriginal affairs and development priorities. 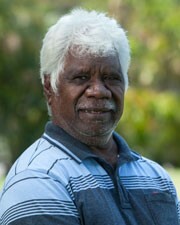 Mr Phillip Mamarika is a respected elder of the Mamarika Clan of Umbakumba Groote Eylandt. He currently works full time as a Senior Ranger with the Anindilyakwa Land and Sea Rangers, providing on the ground leadership and mentorship to five junior male rangers and five non-Indigenous staff in respect of traditional land and sea country. Mr Mamarika represents the Anindilyakwa Land and Sea Rangers at the Anindilyakwa Indigenous Protected Area Advisory Committee and the Learning on Country Steering Committee. His role also extends to general community liaison and is a strong conduit between the Land and Sea Rangers and the Anindilyakwa Land Council Head Office. 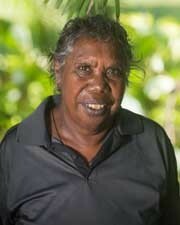 Ms Jenny Inmulugulu is a senior woman and traditional owner of Warruwi on South Goulburn Island. She has been a member of the Aboriginal Areas Protection Authority since 2006 and served as Deputy Chair on the Board from 2008-2012. 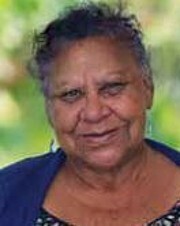 Ms Inmulugulu is a senior woman for her clan and a strong advocate for her community and the Northern Land Council’s regional council. She has been involved in numerous projects for her community including the Warruwi Aquaculture Development Project as a Senior Arrrapi Cultural Consultant. Ms Veronica Lynch is from Black Tank Community Outstation and has experience working in a range of roles in the Central Australian region. She was a founding member of the Indigenous tourism venture Black Tank Tour Experiences which provided guests with insight into local Arrente culture. She has also been involved with the Central Land Council for a number of years and was a member of the CLC representing Ingkerreke Outstation from 2013-2016. 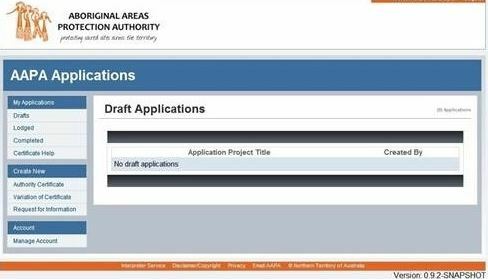 During this period she also held a position on the Aboriginals Benefit Account (ABA) Advisory Committee and provided advice to the Minister for Indigenous Affair on ABA grant applications. Ms Lynch is a member of Akeyulerr Inc, a community organisation which supports Aboriginal people promoting Indigenous knowledge, practice and expertise for the purposes of community wellbeing. 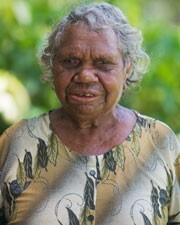 Ms Martin is a Warlpiri woman from Yuendumu. She is a member of the Board of the Warlpiri Youth Development Aboriginal Corporation and was recently been elected to the Central Land Council Aboriginal Benefit Account Advisory Committee. The AAPA is overseen by a 12-member Board.  This comprises 10 Aboriginal Custodians covering a mix of genders and regional backgrounds nominated by NT Aboriginal Land Councils, as well as two Northern Territory Government nominated appointees. Submit a Request when purchasing property, beginning development, exploration or land clearing to find out if any Sacred Sites are currently registered or recorded in the location. When you apply for an Authority Certificate, on-site consultations with Aboriginal custodians are carried out to identify and record any Sacred Sites in the area and any conditions to be observed to protect these sites during the conduct of works.